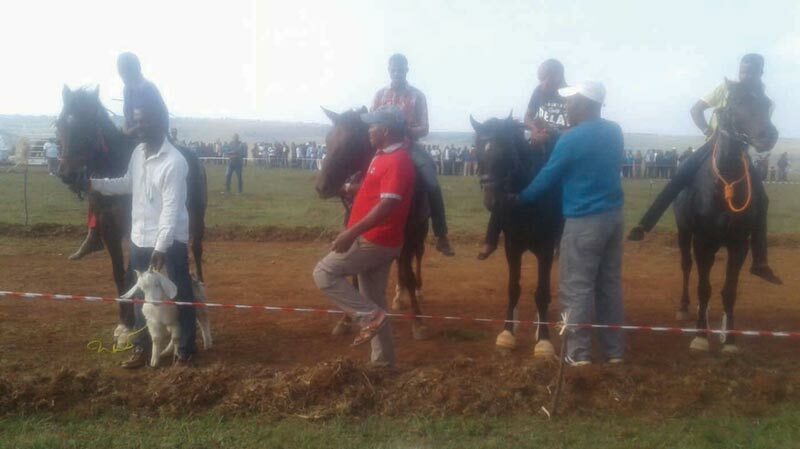 On Sunday, 1 April, Imizamoyabeli Rural Horse Riding hosted a horse racing event at Dirkiesdorp. The event started off with Race 1, grade 8 with 15 horses competing in this race. Horse racing at Dirkiesdorp. The results are as follows: Winner – Sangoma, from Mr Hadebe from Icuku, Mpumalanga The winner received a goat while the 2nd and 3rd places received cash prizes. Race 2, grade 7 results are as follows: Winner – Sgcebhe, from Mr Zulu in Mpumalang. The winner received a goat and 2nd, 3rd and 4th places received cash prizes. Race 3, grade 6 results are as follows: Winner – Mr Hlatshwayo’s horse from KwaZulu-Nata. The winner received a goat while 2nd, 3rd and 4th places received cash prizes. 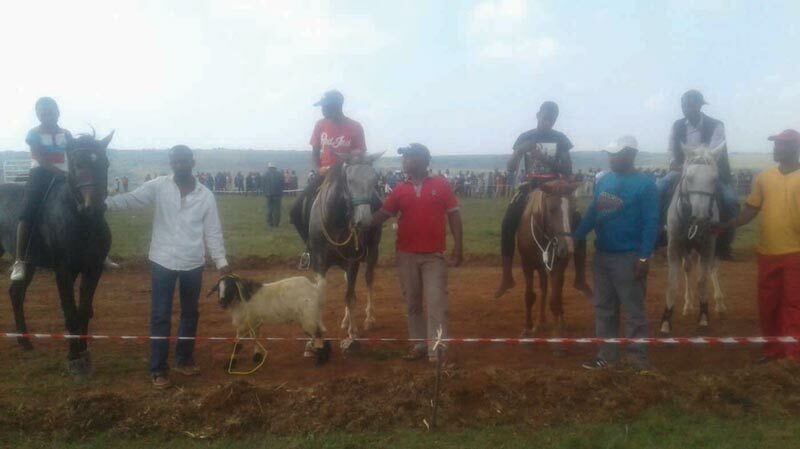 Race 4, grade 5 results are as follows: Winner – Umsuthu, from Mr Gamede, from KwaZulu- Natal The winner received a goat while 2nd and 3rd places received cash prize. The main event was Race 5, which included grade 4, 3, 2 and 1 and the results are as follows: Winner – Minister, from Mr Sima, from Durban The winner received a cow and 2nd place was rewarded with a cash prize. Congratulations to all these individuals and their horses! A spokesperson for Imizamoyabeli Rural Horse Riding informed the Excelsior News that this event was only the first of many to come. Mrs Nkosi, Speaker of Mkhondo Local Municipality, attended the event and addressed the visitors by saying that this type of sport needs more recognition and needs to be promoted. Thank you to Mr Ndlangamandla for sponsoring the cow, Mr Nkosi, for his donation of the goats and Mr Gumede, for providing the tent. Mr Mthethwa assisted with the sound system and thank you to all the competitors all the way from Durban and other areas in KwaZulu-Natal. 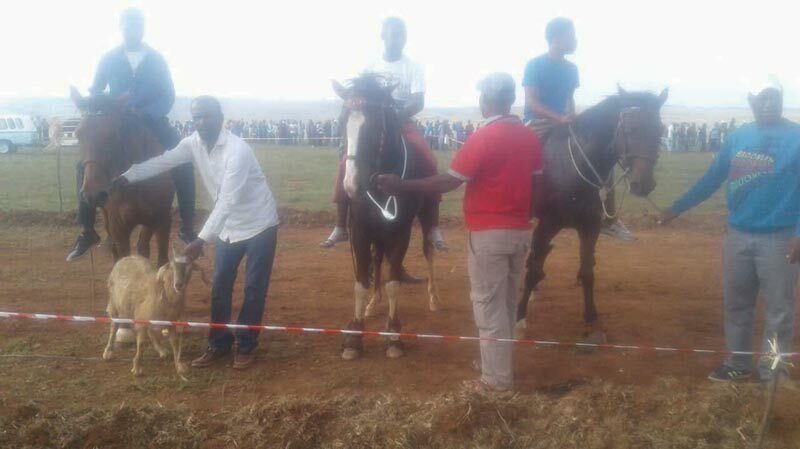 Thank you to Mkhondo Local Municipality for granting permission to the organisation to make use of the land for this horse racing event. 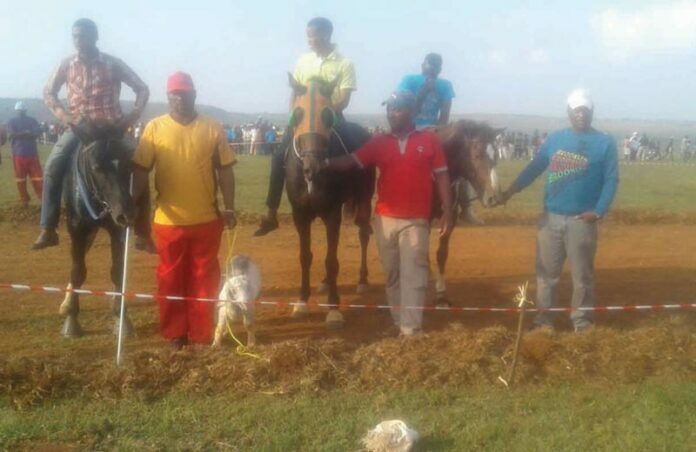 Imizamoyabeli Rural Horse Riding is a non-profitable organisation and if anyone would like to sponsor or donate, please contact the secretary, Mr Shabalala on 082 332 2268.